The popular Indian street kitchen Roti Chai is holding a pop-up under Queen Elizabeth Hall in May. During the pop-up a special menu will feature chaats, chilli chicken buns, masala chai and signature cocktails. Roti Chai will also be joined in Festival Village during Alchemy by Design Wallah - a pop up shop showcasing South Asian artists and designers. It has to be done! 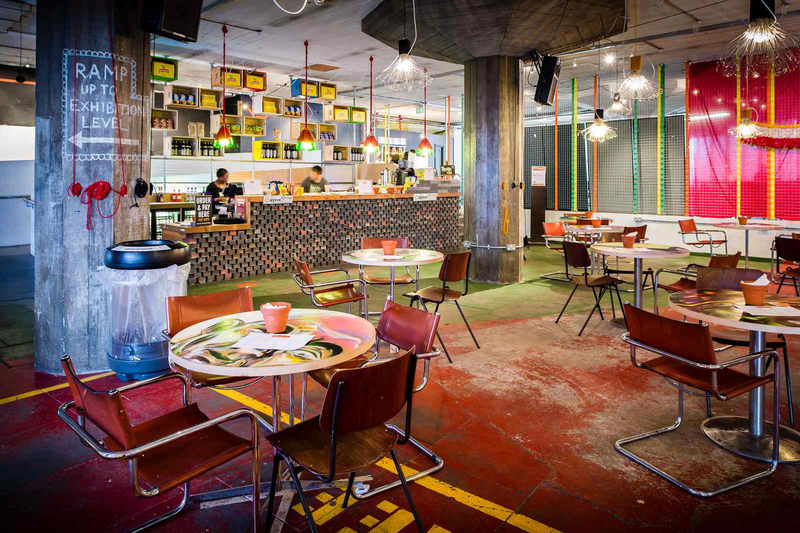 "As part of the fifth anniversary celebrations of Alchemy, Roti Chai’s ‘Chaat Shack and Chai Bar’ returns to Southbank Centre as restaurant-in-residence, from Thursday 8 May to Monday 26 May. The pop up shack will take over Festival Village, a space hidden away underneath the Queen Elizabeth Hall and built by volunteers and local communities. Popular W1 Indian Street Kitchen, Roti Chai, has been invited back by Southbank Centre following the success of their pop up at Alchemy last year. Alchemy is Southbank Centre’s annual festival celebrating the culture of the Indian subcontinent, including music, design, dance, comedy and, of course, food. The festival takes place for 10 days in May (16 - 26 May 2014), offering a range of both ticketed and free events. Roti Chai founder, Rohit Chugh, and his team have created a special menu for the Shack featuring ‘soul food’ chaats, street-inspired chilli chicken buns, traditional masala chai and Monsoon Malabar coffee. All perfect for lunch, afternoon tiffin or with a relaxing drink or two at the end of the day. The Roti Chai team have also put together a Shack drinks list featuring cocktails with an Indian twist including Berry Bourbon, Kovalam Beach Kick and the Alchemy Gin-Ji as well as Indian favourites of Kingfisher beer and Mango Frooti. The Chaat Shack & Chai Bar will be open daytime and evenings to all visitors to Southbank Centre and to Alchemy artists & attendees alike. It will share the Festival Village with Design Wallah, a pop-up shop showcasing South Asian design, presented in association with Shake The Dust."